Kann Trichan is a master chef in the city of Chiang Mai (Thailand). 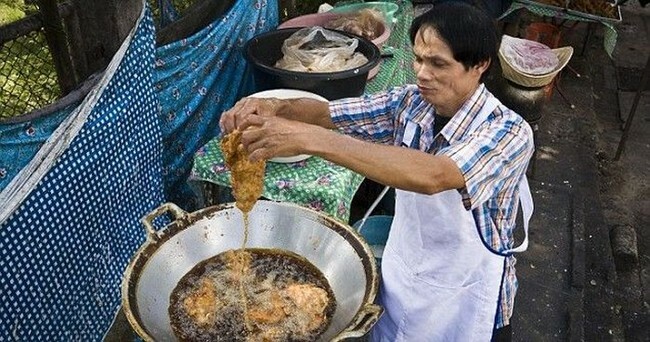 He can prepare delicious fried chicken using only his hands to fry. 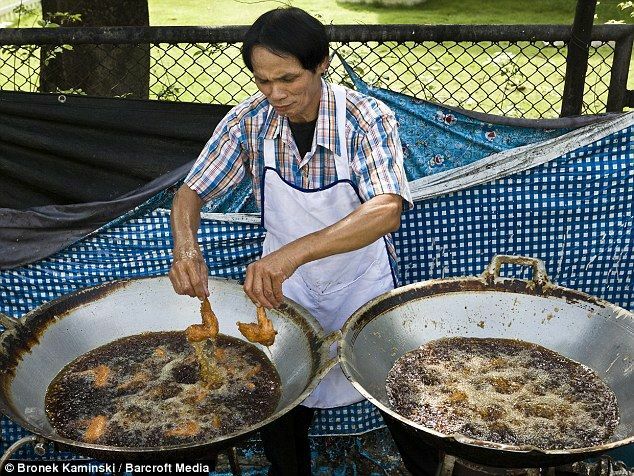 Many say that Kang has the record for chicken breasts out of the large pan with boiling acit. Kahn first discovered his talent for many years in surprising circumstances. 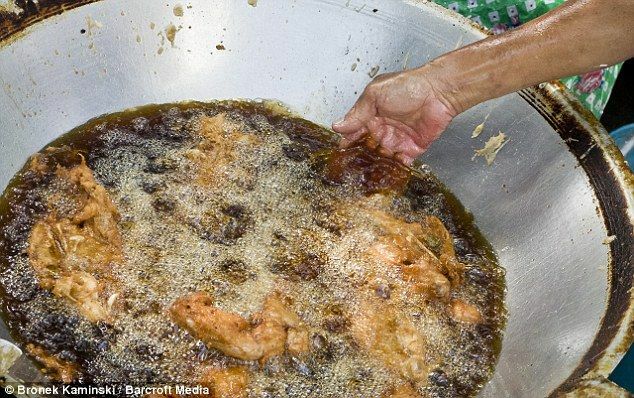 It happened when a mango tree branch fell on a pot of boiling oil, which flew in all directions, falling on his face and hands.